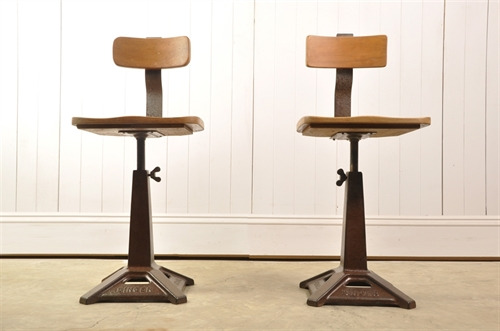 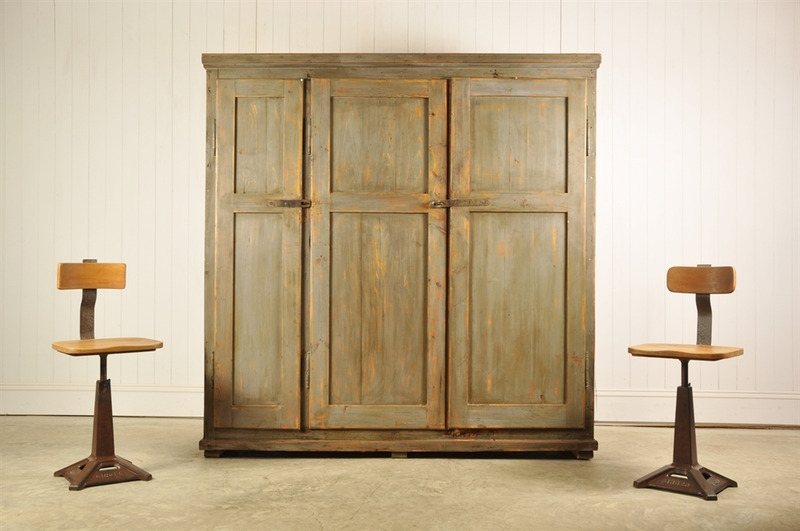 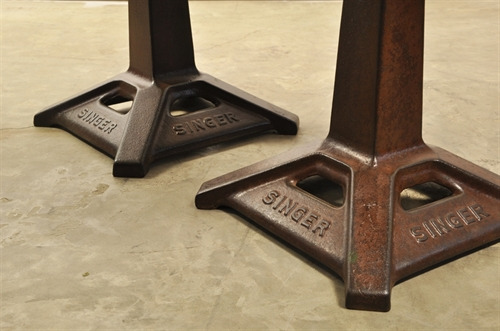 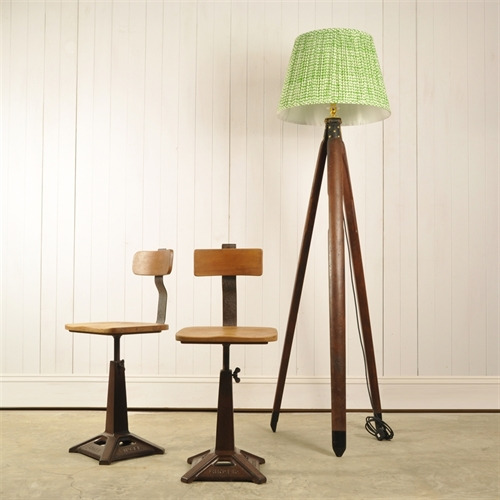 Vintage Singer Chairs - Original House – Decorative Antiques, Vintage Industrial Furniture and Lighting, Cotswolds. A classic piece of English Industrial Design, circa 1920's. 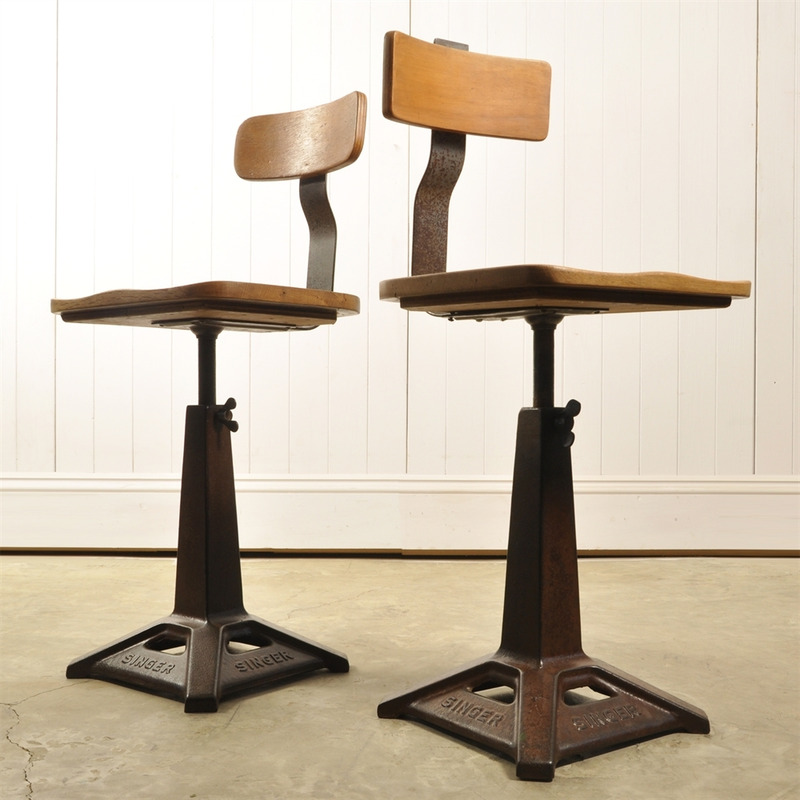 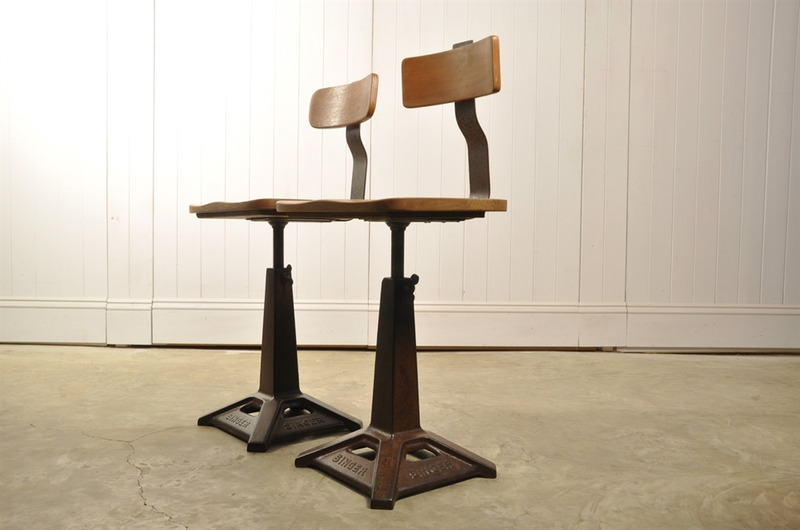 These ones came out of a factory in Cambridge - although the original ply seats have been replaced we believe this was done some time ago and they fit very well with the original design of the chair as well as with the colour and patina. 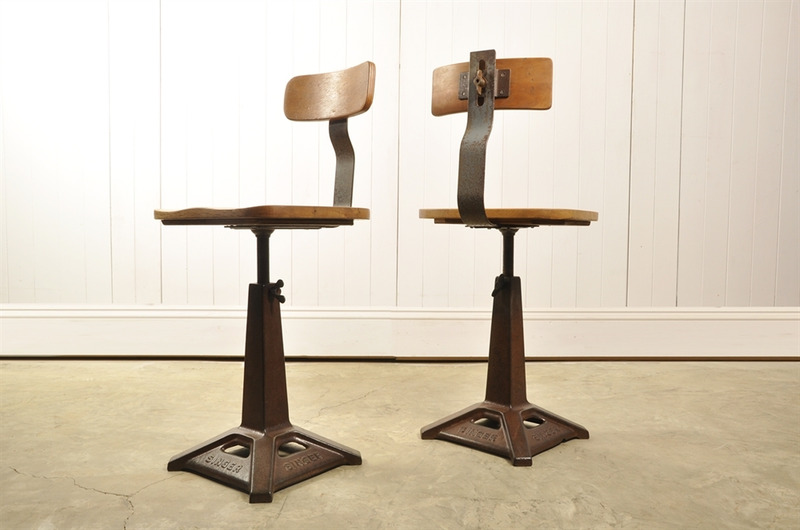 Apart from the seats these chairs are 100 % authentic retaining some of their original paint to the cast iron and back supports. 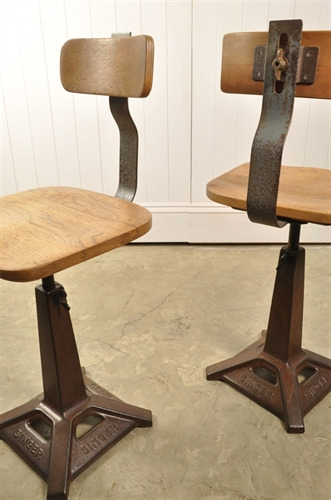 Seat height adjusts from 43 - 54 cm h x 36 w x 39 d.
2 available, priced and sold individually.